Kaliko Phul, ex Chief Minister of Arunachal Pradesh allegedly committed suicide by hanging himself to the ceiling of his official residence on August 9th. The yoga for unnatural death by hanging is very much visible in his chart. He was born on 20-7-1969 at Walla,Hawai,Arunachal Pradesh with 96E48; 27N53 as co ordinates and with time Zone 5.30 East of GMT.Though the exact birth time is unknown,let me analyze his chart with other handy principles of astrology.As I am not going deep into his chart covering all the 12 bhavas,but looking only at the yoga for suicide,exact birth time is not necessary. From Moon Lagna,which proves many times more accurate than the Lagna,we can observe the presence of a well known astro principle from Jaimini Sutras that suggest suicidal tendencies and un natural death viz. 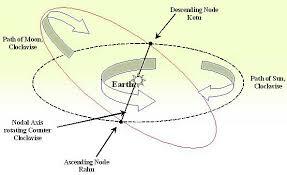 presence of a malefic planet in 3rd house. In his chart, Mars with Gulika and Mandi and Neptune in third house clearly indicates unnatural death. According to the famous dictum from 'Jathaka Chandrika' which says - "Ashtamam aayusha sthanam ashtamaad ashtamam tadhaa" - Eigth house and eigth from it again i.e third house indicate longevity of the native.Combining the Jaimini Sutra - "Manda Maandibhyam Jalodbandhanaadibhi" - with this principle,we see that Mandi is in third house indicating death, either by drowning or by hanging. It is stunning to see how the age old Astro Sutras come alive again and again in any number of charts.Seeing this miracle we cannot but bow down to the great vision of our Rishis who framed these sutras through years and years of painstaking research. This same 'suicide yoga' is available in the charts of hero Uday Kiran, heroine Zia Khan and hero Ranganath who all died violent deaths,allegedly suicides. The role of Moon is clearly visible in charts of such emotionally unstable persons, because Moon,in Astrology is the indicator for mind and its tendencies. Coming to the present chart,the most striking yoga in this chart is the degree conjunction of Moon,Uranus and Jupiter at 7 degrees in Kanya.This trio is joined by an equally unhappy Ketu who is in zero degrees.All these four planets are in Uttara star ruled by Sun who is the lord of 12 th house showing loss and death(destruction of first bhava i.e body). Uranus is karaka for sudden revolutionary ideas and violent decisions.When he afflicts Moon powerfully, the native of such a chart exhibits very unstable and unpredictable behaviour.They behave as if possessed by some unseen ghost and take very voilent and sudden decisions,to the surprise of their companions.Such people would be talking to their kith and kin and suddenly they go to the other room and commit suicide within minutes. In this chart,added to the influence of Uranus on Moon, there is the additional influence of Ketu and Jupiter who is a badhaka.When Moon the karaka for mind is afflicted so badly,what could such a poor native do in times of stress other than committing suicide? Ghati Lagna falls in third from Moon,with Mars,Mandi and Neptune, showing power issues are the cause of his violent death. Debilitated Saturn in 8th shows the curse of people which brought this sad end to his life. To add the last straw on the back of camel, transit Jupiter is ready to cross Simha into Kanya, his Moon lagna with the ominous combination of Uranus Jupiter and Ketu. All this coupled together precipitated the sad incident. How strange it is that an ex Chief Minister of a state commits suicide in his official quarters owing to reasons unknown to us.The article in Wikipedia says he tried to commit suicide in the past,by jumping into a river, unable to bear the gastric pain which he had been suffering from for long.So, he had this suicidal tendency in his chart as indicated by Moon and his colleagues. How strange it is that more often than not, a man's destiny is so clearly indicated in his birth chart? Rahu and Ketu are going to change Signs tomorrow. Yesterday I wrote about the results they would show for the next one and half year.Today Zika virus is on the stage catching the attention of world community. Virus 'Zika' suddenly re-appeared on the stage exactly at this point of time when Rahu and Ketu are changing their signs.For many,this might appear as coincidental but not so to the keen students of astrological science.For them,the nodal forces appear very clearly behind the threat of this virus. Rahu and Ketu are mathematical points in space.They are not physical entities.Nevertheless they exert very strong influence on Earthly matters.Palpable results do invariably happen on Earth when there is a change in these two points. Virus 'Zika' is now threatening the people of Brazil and likely to spread through the agency of Aedis mosquito to other countries very quickly.In Astrology we know that insects like mosquitoes are controlled by Rahu and Ketu. Rahu and Ketu travel around the zodiac once in 18 years staying in each sign for one and half year.They were in the same place exactly 18 years ago in 1997.Let me show you what happened in 1997. In 1997, Avian Flu attacked and killed millions of hen in Hong Kong and China.From birds, it spread and attacked humans also,of course in lesser proportion.As a result,international tourism and economic trade suffered a set back at that time.Red alert was issued by many countries and tourists were examined medically in air ports, if found coming from countries affected by bird flu. We know that flying birds,like flying insects, are under the control of Rahu and Ketu.It was birds then and mosquitoes now.If we observe closely,it strikes our mind immediately that the Nodes are the actual forces behind both the cases. Statistical evidences like this prove beyond any reasonable doubt that terrestrial forces do affect human affairs on Earth invariably.We have to have the eye to look and understand them as they are.